Catalan music—classical and modern—is a deep subject, and one full of surprises. Catalans stick to tradition like glue, and it's a constant wonder how a people so modern and sophisticated can be at the same time so ethnic. West of the Ukraine, it doesn't get any more folkloric than the Catalans dancing the sardana, as they do every Sunday in front of the Cathedral. The music is unclaimed 19th century popular tunes that may drive non-Catalans crazy; the purpose is patriotic, cultural affirmation. Folk tunes survive in many forms, mostly in arrangements for choir or classical guitar, like this one, the Canço del Lladre (Thief's lullaby). Choral singing has always been a passionate affair here. In Barcelona, even bureaucrats can sing. The revival of choral music was an important part of the 19th-century cultural Renaixença, and it was a choral society, the Orfeo Catalá, that built the spectacular Palau de la Musica. Two of the best-known Spanish composers, Enrique Granados and Isaac Albéniz were Catalans; Granados was born in Barcelona, as was his greatest piano interpreter, Alicia de Larrocha. Another Barcelona hometown girl, Montserrat Caballé, liked to close recitals with a lovely Catalan folk song called El Cant dels Ocells (Song of the Birds), adapted by another famous Catalan, Pau Casals. The Virolai is the special hymn to the Virgin of Montserrat, up on the Catalans' holy mountain: sung here by Montserrat's famous boy choir, the Escolania. In the 1960s and 70s, a group of young singer-songwiters started a new movement called Nova Cançó. Many of the songs were political in nature, such as L'Estaca by Lluís Llach, which became an anthem of the anti-Franco resistance, at a time when even singing in Catalan was illegal (this song went around the world and, translated into Polish in the 80's, was adopted by the Solidarnosç movement. Catalonia of course has a long history of political songs. A les Baricades was the Anarchist hymn in the Civil War, and they're still singing it. A century ago, Avinguda Paral.lel was lit up like Times Square, the centre of a boisterous district of music halls, bars and cabarets. The war and Franco put an end to that, though some surviving clubs like El Molino try to keep the tradition alive. Fashion has moved on. Barcelona definitely has a sound of its own today, and it came from the long-established gypsy community in the Gràcia. Cultural ties between Barcelona and Cuba have always been very close, and when gypsy musicians got hold of Afro-Cuban percussion and piano in the 1950s, they combined it with a bit of flamenco guitar and other Spanish influences to create la rumba catalana. The Gypsy Kings made this style of music famous, and today you hear echos of it all over the world. In Barcelona, it has evolved in many ways, and it provides some of the best music available here. Some Barcelona groups have made it big, such as Ojos de Brujo (with a little hiphop thrown in) and Muchachito Bombo Infierno. Manu Chao, formerly of Mano Negra, is a big celebrity in Barcelona these days. He made a big hit with his Rumba de Barcelona; it has become the song of FC Barcelona and its fans. 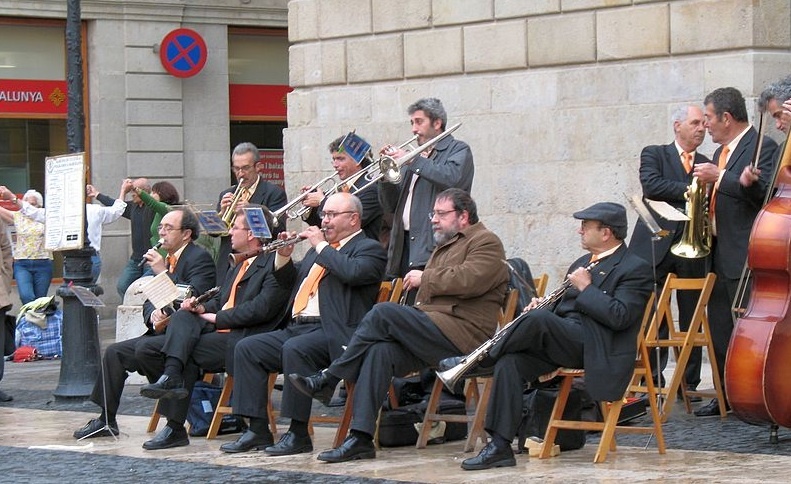 Barcelona has a healthy and growing jazz scene, with festivals in the autumn and some good clubs in the Barri Gòtic. Two of the regulars to watch out for are Lluís Coloma and Joan Chamorro. The clubs do a fair amount of blues and Latin music too. If anything captured the magic of Barcelona in the 1990s, it was the unlikely collaboration of Freddie Mercury and Montserrat Caballé, performed here in front of Montjüic and the Font Mágica for the arrival of the Olympic torch in 1992: Barcelona. Finally, Catalonia has a national anthem, Els Segadors (The Reapers), a memory of the Reapers' War, the great peasant rebellion of 1642. As bloodcurdling anthems go, it's right up there with the Marseillaise—all about chopping up arrogant Spaniards with sickles. Catalonia should become independent, if only so we can hear it at the Olympics. Bon cop de falç! to any who say nay.